（重启开机后eccmd -info 显示的也是Copyright?2010-2011 Diskeeper Corporation. HFS Volume is not mounted. **ERROR** ECCmd Requested device is not available : 2. - Fixed Titan defrag engine crash. - Added workaround to handle issue with non-Microsoft USB3 driver. - Fixed issue with accessing removable devices. - Added cache read threshold for USB2 devices. - Ignore “verify flag” on USB cache device during boot up. - Fixed handle leak related to USB device detection. - Fixed reference counting issue in the I/O error handler. - Fixed cache reset issue with older NTFS versions. - Added workaround for ReadyBoost stack issue. - Added OEM attribute to ExpressCache GPT partition. - Added flags to control cache eviction (DRAM cache) on S3 and S4 transition. - Changed memory allocation to use NX pool. - Fixed issue in detecting SD card incorrectly when it is connected to RealTek controller. - Added support for USB based cache devices. - Fixed issue with detecting wrong cache device when there are multiple devices present. - Fixed issue with running defragmenter on a removable media. - Fixed issue with removing cache data on system startup. - DiskOptimization turned off on removable drives. - Fixed SSD detection issue with partition creation. - Bug fix related to shutdown after shrink/expand partition. - Added a work around for Windows 7 SP1 ReadyBoost stack overflow issue. - Added enhancements to partition creation. - Added enhancements to SSD detection in a RAID configuration. - Added optimizations to increase SSD endurance and performance. - Tiered Caching optimized to work better with low memory situation. - Made enhancements to Tiered Caching data collection. - Tiered Caching optimized for iRST operation. - Added Tiered Caching using DRAM. - Enhancements to the GPT partition creation. - Enhancements to the Physical Drive sharing. - Added Data Pattern Compression. 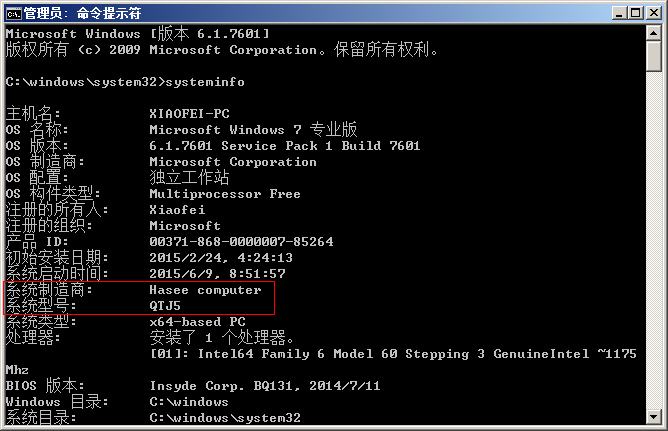 - Added support for JBOD configuration with SSD and HDD. - Enhancements to handle variations in boot performance. - Defragmentation handling. Added a file system minifilter (excfs.sys). - I/O performance enhancements for better I/O meter numbers. - Minimum supported data partition size increased from 256 MB to 1 GB. - Changes to dismount cache quickly in case of cache partition deletion. - Cache protection from unauthorized writes. - Use original IO priority data for caching. - Utility to uninstall ExpressCache if no SSD is detected. - Enhancements to filesystem filter driver un-install. - Enhanced offline data change detection support. – DiskOptimization turned off on removable drives. – Fixed SSD detection issue with partition creation. – Bug fix related to shutdown after shrink/expand partition. – Added a work around for Windows 7 SP1 ReadyBoost stack overflow issue. – Added enhancements to partition creation. – Added enhancements to SSD detection in a RAID configuration. – Added optimizations to increase SSD endurance and performance. – Tiered Caching optimized to work better with low memory situation. – Made enhancements to Tiered Caching data collection. – Tiered Caching optimized for iRST operation. – Added Tiered Caching using DRAM. – Enhancements to the GPT partition creation. – Enhancements to the Physical Drive sharing. – Added Data Pattern Compression. 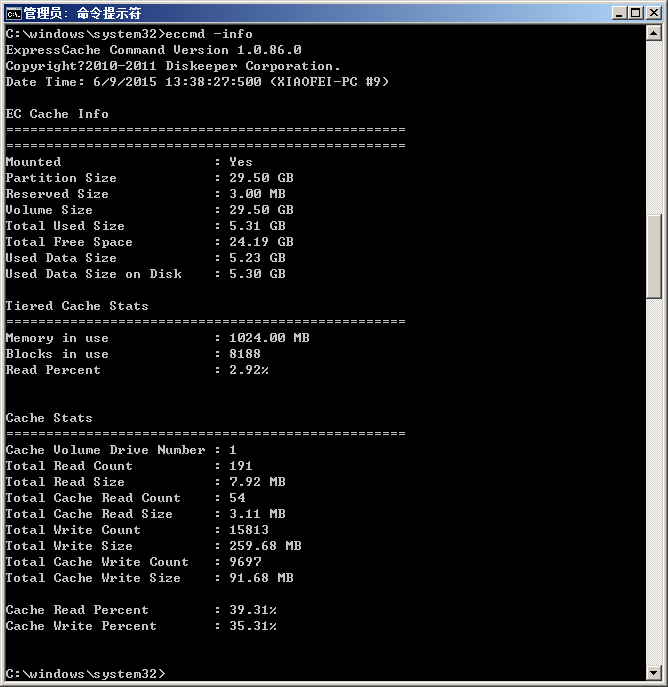 – Added support for JBOD configuration with SSD and HDD. – Enhancements to handle variations in boot performance. – Defragmentation handling. Added a file system minifilter (excfs.sys). – I/O performance enhancements for better I/O meter numbers. – Minimum supported data partition size increased from 256 MB to 1 GB. – Changes to dismount cache quickly in case of cache partition deletion. – Cache protection from unauthorized writes. – Use original IO priority data for caching. – Utility to uninstall ExpressCache if no SSD is detected. – Enhancements to filesystem filter driver un-install. – Enhanced offline data change detection support. Product is tied to a manufacturer.